The installations of both systems went very smoothly. Your installation and start up crews are to be commended for a very professional level of service they provided. 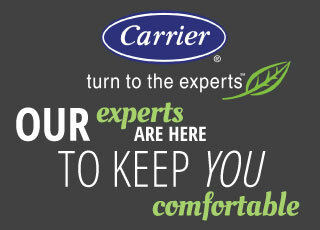 Good service in the past is why we wanted to buy our new heating and air/conditioning from G&M. I’m very satisfied with my service and have recommended a friend. Thank you very much for taking care of Alberta’s system so quickly and effortlessly. She was thrilled with the new system, and we appreciate your extra effort to make it so easy on her. We always enjoy doing business with G&M. Your courtesy and professionalism is always appreciated. House has never been more comfortable. Excellent service! Everything ran very smooth and on the time scheduled for it. Many thanks to your service department for a prompt and productive response to our after-hours call. Ben was a polite and knowledgeable technician who took a few extra minutes to explain what he did to our AC unit and to answer our questions. We are completely satisfied about our experience with G&M Service Co. and our new Carrier unit. Top notch. G&M was a pleasure to work with! They were patient with me as I asked questions and compared competitive quotes, and prompt and professional in their response. They exceeded my expectations in helping me get the most value for my dollar without sacrificing my efficiency goals for my new systems. At my home, the service technicians were courteous, thorough and tidy - a very satisfied customer! Patient with all my questions providing clear, complete answers. Phil Smith was great. He provided all the information I needed and went above and beyond in providing prompt estimates. He responded almost immediately to every question and concern I had. The installation crew was courteous and professional as well. Following the job, the service level did not let up. G&M promptly responded to every question I had and diligently followed up on some minor issues. Highly recommend. Jeff provided excellent service and made me feel like he honestly wanted me as a customer. I will recommend G&M to anyone that I know who needs service in the future. Thanks for the fast and great service. Thank you for your patience and great installation. This was a wonderful experience. I’d like to compliment Ben on his friendliness and his professionalism while performing the preventative maintenance and service work at my home.